Maris of Lesser Amberly, hero of the popular (Hugo-nominated) series of Windhaven novellas that I wrote with my friend Lisa Tuttle back in the late 70s and early 80s, will soon be taking wing again. I am delighted to announce that we've closed a deal with Random House to adapt WINDHAVEN as a graphic novel. 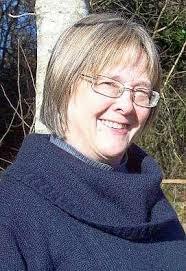 Lisa Tuttle herself will be scripting the book, based on our original stories. Lisa has already delivered the script... and we're excited to reveal that we've just signed the amazing French artist ELSA CHARRETIER to illustrate the graphic novel. Check out her website at http://elsacharretier.blogspot.com/ for links to her work. She's fantastic, and we cannot wait to see how she brings the world of Windhaven and its fliers to life. Too cool! I've been meaning to check out this tale for a while now. I am sure it's in the pipeline, but I am also looking forward to the graphic novel of The Mystery Knight. George, is that an ascot? You dashing rogue you! I have a dream about film adaptation of this novel. 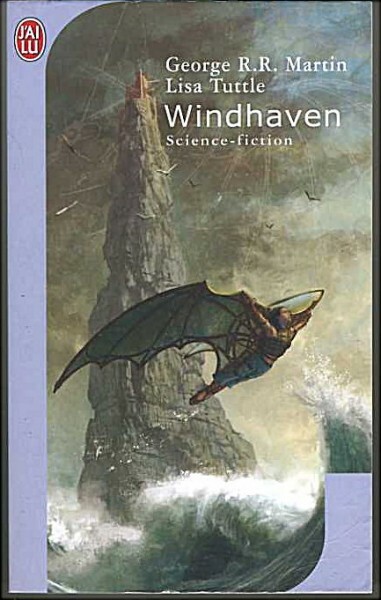 I remember reading A Storm over Windhaven (one short novella) 20-ish years ago and I remember liking it. I did not realize there is a part 2 and part 3, it is good to know. In your early day as a writer (or even now) did you ever consider writing for comics? It would be interesting to see how you would handle characters like The Avengers, or doing a run on well known comic book characters. I can see George writing 'grapjic novels' instead. True, although there's been Graphic Novel authors such as Alan Moore and Neil Gaiman who have taken existing characters and put an interesting spin on them. I'LL BUY IT. AS SOON AS I CAN! My God, how skinny were you, George? A 28 inch waist?! I don't think I was ever THAT slim, once past childhood. But back in the 70s, yeah, I could wear 32s. Whoops. Did I break a rule against posting links? You may have. What was the link? I posted two. 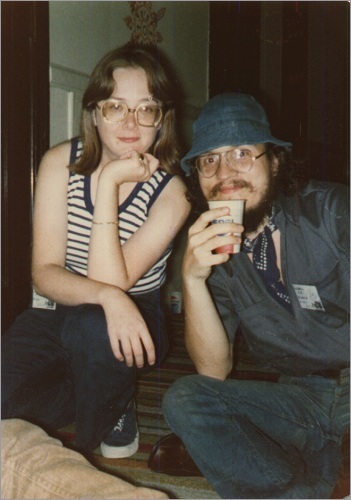 One was to Jo Fletcher books, which publishes really nice versions of Lisa Tuttle's other books, and the other was to the 2015 World Horror Convention, where she'll be a guest of honor. Until "Rogues" came out, I had thought that Lisa might have retired, and I figured other people might want to have a look at her other work. Sorry if links are a no-no--I didn't even think about it until I realized that I don't think I've never seen any other links in the comments section. I found them and unspammed. Yes, links in comments are automatically slugged as spam. Posts also get deleted... most often for being off topic, sometimes for being abusive. No, Lisa has not retired. Hey that bucket hat look suits you better. Bring it back! Neck bandana is optional. Nice, looking forward to it, been getting back into graphic novels again this year. I've read WINDHAVEN, but my memory is hazy, reading it in graphic novel form might be like reading it again for the first time. I'll add the graphic novel to my list as well. I love comics, books, movies, etc. I love stories! 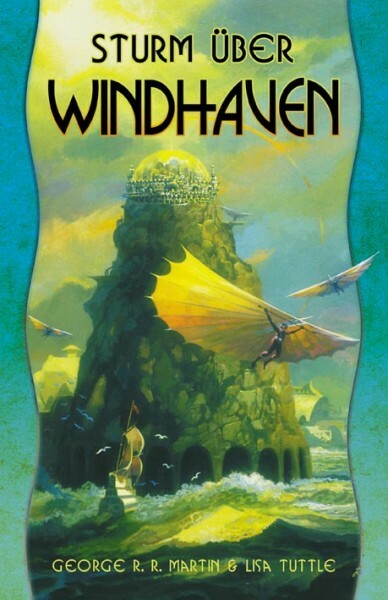 Looking forward to adding this version to my collection, I am a big fan of Windhaven. We'll have to add it to the growing list of earlier works reviewed over at Bastards of Kingsgrave.